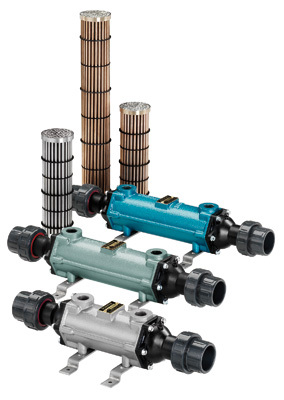 Manufacturer of high-quality pool heat exchangers, Bowman produces two ranges: one for use with boilers, and the other for use with solar heating systems. Bowman units contain highly corrosion-resistant cupro-nickel tubes which are designed to outlast stainless-steel heat exchangers, and can be used in chlorine water, sea water and spa pools. All these heat exchangers are supplied with mounting feet.